Happy Wednesday guys! I've got a dance gem for you guys! 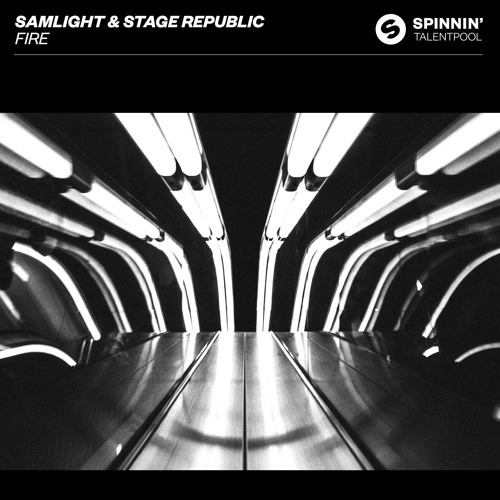 Finnish DJ/Producer Samlight teamed up with Dutch indie pop singer-songwriter Stage Republic to deliver a gorgeous track called Fire, out now on Spinnin0 Records Talent Pool. This duo have created an uplifting piece of Future House/Alt-Rock crossover perfect to become a hit during the festival season. Really enjoying Stage Republic's warm vocals and how they are backed by Samlight's energetic House-tinged production packed with killer guitar riffs, punchy percussion and melodic piano keys. Stream it below! Before April of last year, I had never given any attention to dance music. That changed when I happened to be in Miami during Ultra Music Festival. I saw the crazy energy EDM can bring and what it can do to unite and bond people. I started looking for artists to do dance remixes of my tracks. Samlight remixed my single Rise & Fall and his version was actually better than mine. We also discovered my vocals & hooks gel with his beats & drops like a house on fire. We caught a spark to start a flame.